If you are ever in Belize, take a few steps just outside the cruise port, past all the advertised jewelry shops and venture into an authentic craft market where local vendors have stalls selling everything from hand carved wood sculptures to hammocks to beautifully embroidered dresses and handbags. This is my kind of shopping, where I can meet the locals, learn a bit about their crafts and traditions and take home items with the unique flavor of a destination. 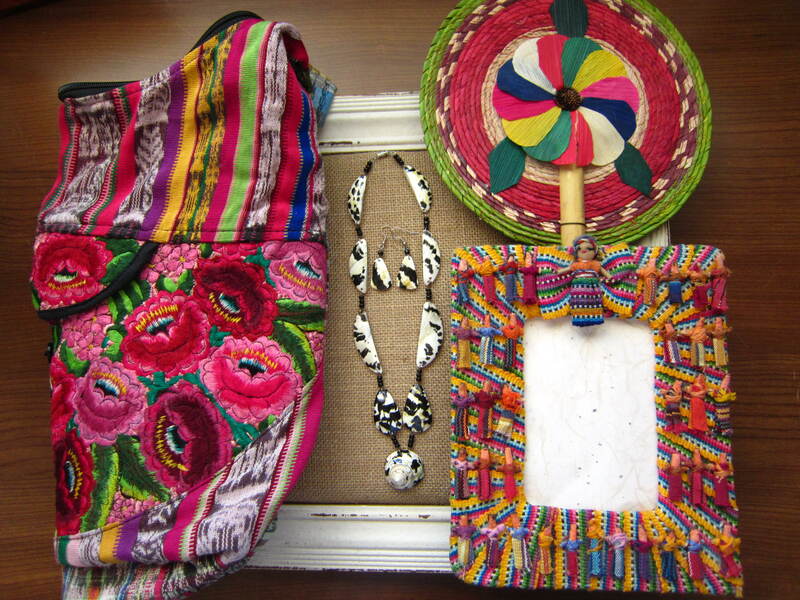 I want to go home with interesting items that will remind me of a special place and its artisans. I have been to Belize a few times but these were all items I purchased on my first visit, from two sisters that sell at the market. 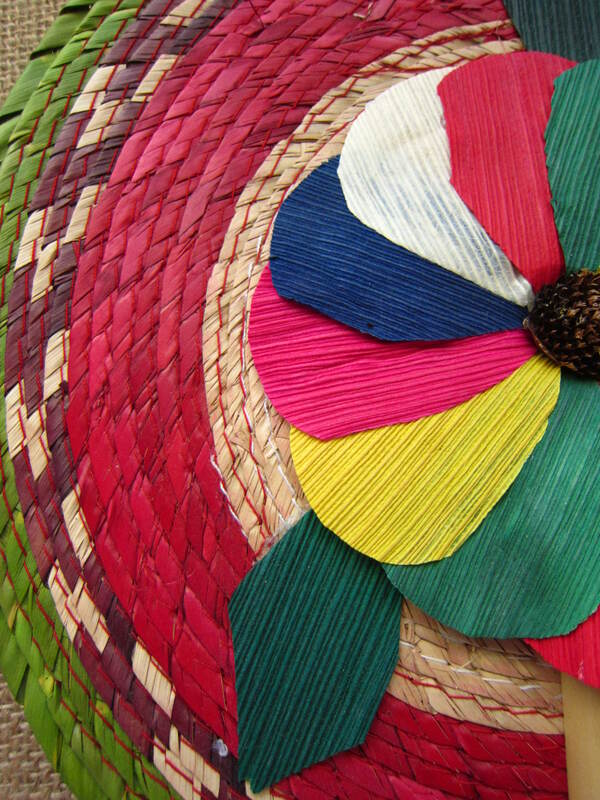 I was so in love with all the colorful items they had, the two other times I traveled to Belize I was looking forward to visiting them to see what they had and they weren’t at the market that day. Lesson learned. If you love it, buy it, because it may not be there the next time you visit! 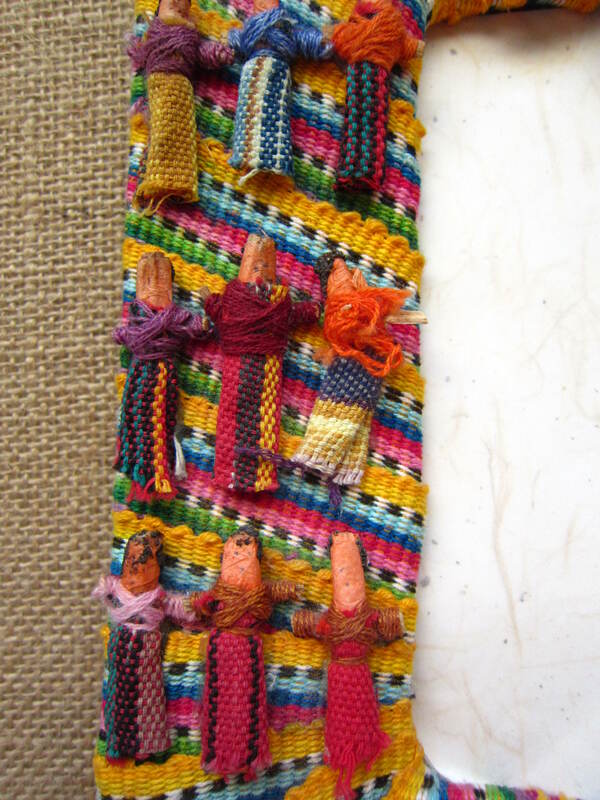 The first item is a picture frame, hand wrapped in colorful woven thread and covered in tiny handmade worry dolls. 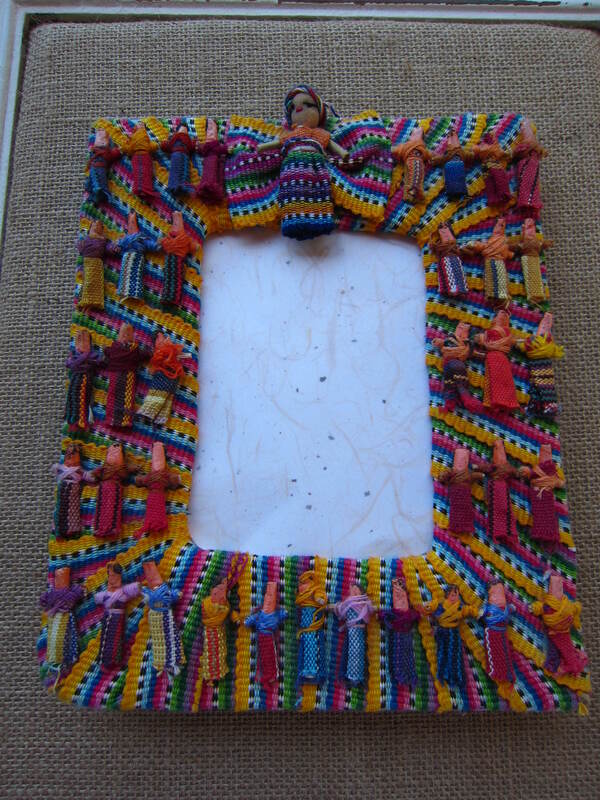 A picture frame is a useful souvenir to pick up. You can put a photo in it from your trip to the place where you bought it, to remember that journey. 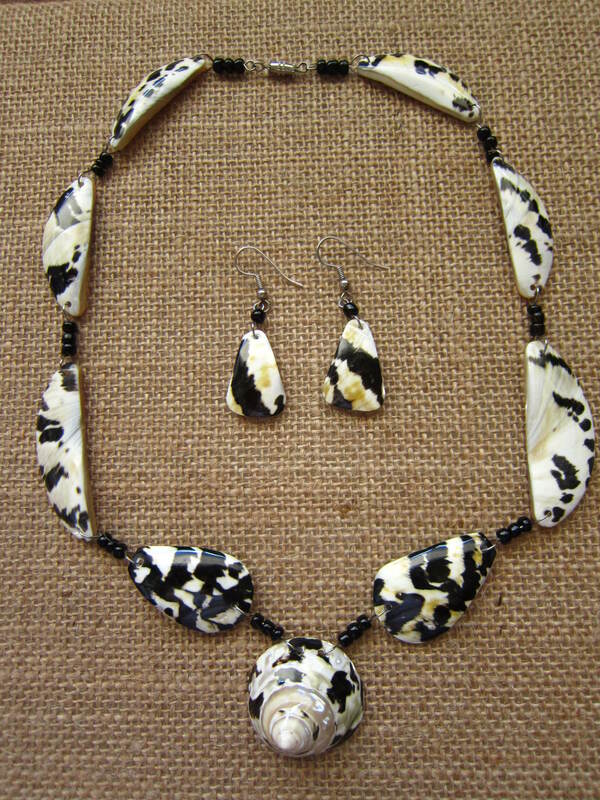 The second item is a necklace and earrings set made from local black and white shells, distinct to the area. I love the graphic quality of the black and white color combo. I purchased a few more of these shell pieces, which I used to design my own one of a kind jewelry. You can click the links below to check them out! I don’t have much use for a handheld fan, living in Southern California, but I couldn’t resist this one for only $1 and kept me cool in the humid Caribbean islands! 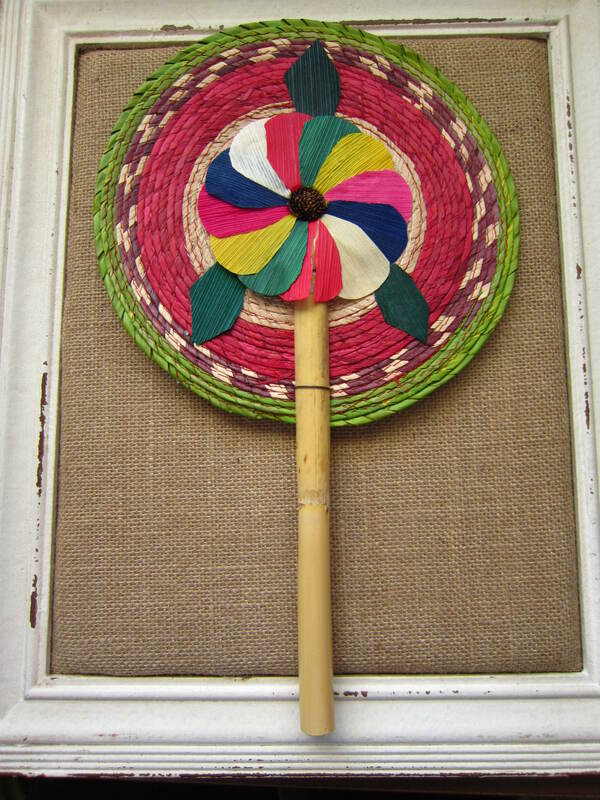 A beautiful paper flower is layered on a multicolored woven background with a sturdy bamboo handle. If you live in a humid climate this would be a great bulk buy to give as gifts to family and friends when returning from your trip. It’s traditional, colorful and an awesome bargain! The last item I picked up in Belize is my favorite and I’ve gotten a lot of use out of it. 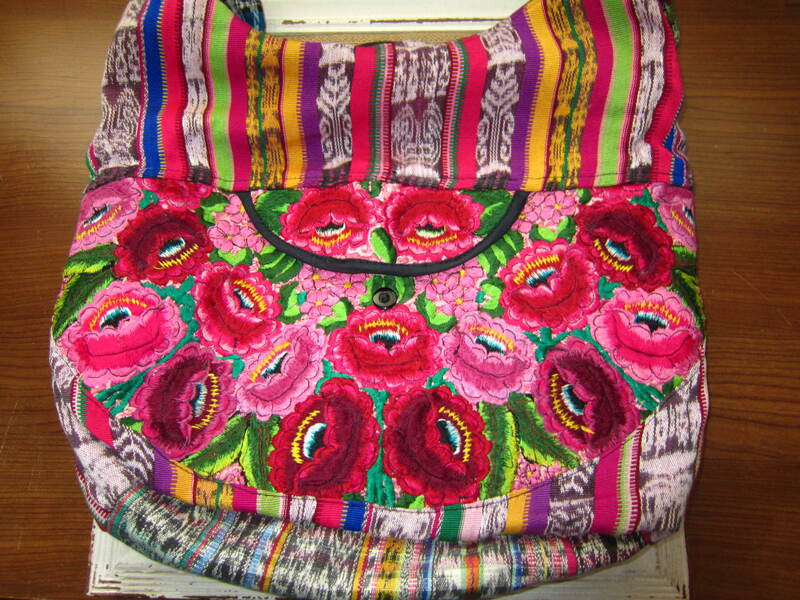 This beautiful bag is covered in embroidered flowers, layered over traditional woven stripes. 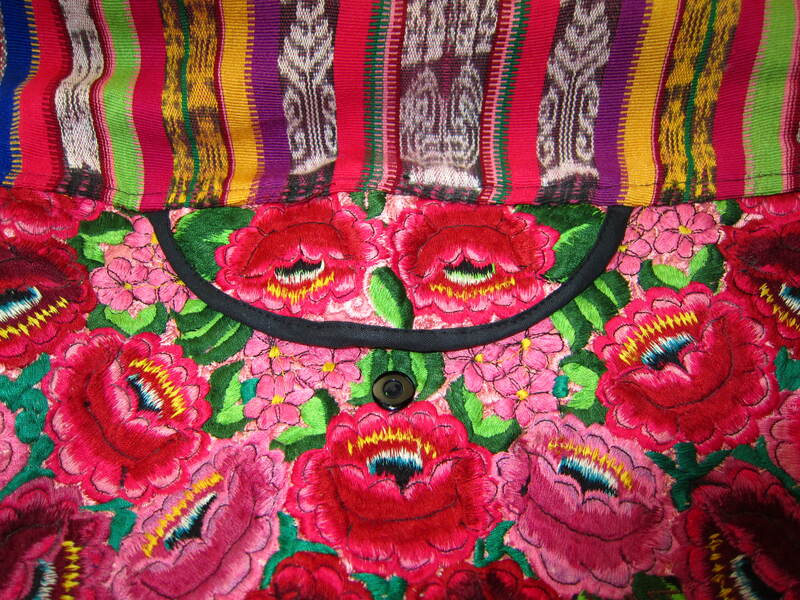 Many of the pieces these sisters sold had a Guatemalan influence and this bag highlights that. It’s long, padded strap make it a great over the shoulder or cross body bag and it has a zipper closure for safe keeping. It is beautifully detailed. Even the small front pocket is lined with cream-colored lace. I love details and surprises, even if you are the only who will ever see them! I’ve used this bag at the beach, the flea market and it is a great bag to travel with because it’s soft and packs easily. Shopping abroad always yields treasures I never anticipated. I’d love to hear about the treasures you’ve uncovered on a far away journey!